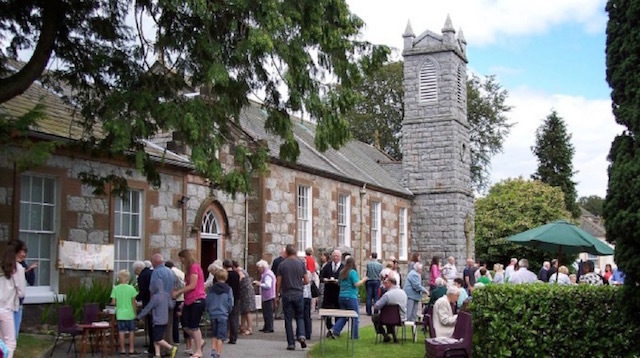 St Peter's Roman Catholic Church in Craignair Street is the oldest ecclesiastical building in Dalbeattie, built in 1814 and is the oldest church building still in use in the Diocese of Galloway. On June 29th, 2014 it celebrated its 200th anniversary. Vigil Mass is held at St Peter’s at 5.00pm on Saturdays. Sunday Mass can be found at St. Andrew`s and St. Cuthbert`s Kirkcudbright at 9.30am or at 10am in St. Andrew`s Dumfries or at 11.30am in St Teresa's, Dumfries. For further information, contact Fr. William McFadden on 01556 610358.